Feel free to drop us a line at michaeldc110@gmail.com. Nice Blog! So Glad You are here! Hey, I think your blog is fantastic, thank you! I particularly liked your article “The glory of Weakness” which I found in a search. Bookmarked the site so I can come back. I have really been blessed by this Blog and your main website. You articles are very powerful and Holy Spirit inspired. I have done a lot of searching on the Internet and there is some good stuff, but also some not so good. I appreciate your humility and that you are not self seeking. Please add my e-mail for new posts from you. I used to be on it but somehow got removed. Mike, I am not sure what happened here, but if you want to be notified when there is a new posting go to the top left of the opening page of our blog and click on “Follow.” Let me know if this doesn’t work. So,I found you today as I am researching the sons of Zadok.I am sorry to see that your blog ends in 2012.? Any info? Michael… I’m trying to access to your site awildernessvoice.com and never get it…. I want read an article you’ve written about “Five Mountains”… about Zion and its meaning for us… please help me… I’d thanks you a lot… God continues blessing you!! The article you are trying to access is at http://awildernessvoice.com/Sinai2Zion.html. What country are you in? Some countries limit the websites you can access. What web browser are you using? Internet Explorer is a mess. I can’t make it work on anything. I know that Firefox and Chrome work to access the site. Sorry about your trouble. I’m experiencing the same trouble. I could visit your main website a couple of months ago and I actually downloaded a couple of books and articles. But on my next visits my browsers got me error messages. (I use Firefox and Chrome and it’s not working in either). I’m in Argentina. Never have any trouble accessing websites, except for some radios which don’t allow streaming for copyright reasons. Carina, thanks for letting me know. I also got an email from a brother in Paraguay that could not connect to our site. I sent an email off to our website host provider and alerted him to this problem. I will post on this blog when it gets fixed. Funny how this problem so far has been limited to Africa and S. America. Irene, soy bendido que ha encontrado respuestas en nuestro blog de una que es una bendición para usted. Irene, I am blessed that you found answers on our blog and that it is a blessing to you. I sensed LOYALTY in your character, just by reading this page. I am sure there is so much more good stuff the Lord has deposited in you. I am glad you brought me here. I look forward to reading your posts. A quick glance (As I am in the middle of writing a post) at one has gotten me hooked and I am sure to return. I pray we are both blessed by what God is doing in and through each other’s lives. Keep shining for our Father. Dear Ngozi, Loyalty… interesting character trait… though I have never thought it applied to me. I have seen myself more as a reed shaken by the wind. But what wonders God works as He conforms us into the image of His Son. I hope you do come back and let me know what you feel and think. Yes, I am praying with you that we are both blesses by what Father is doing in our lives as members of Christ’s body. Amen. I know what you mean, dear Michael, regarding what we see in ourselves. I believe Our Father sees differently. He knows us and like you said, works wonders in us by conforming us daily to become like Jesus. Yes, dear Ngozi, like Paul said, “Behold what manner of love the Father has given unto us that we should be called sons of God” and IN Christ there is neither male nor female, black nor white, Jew nor Gentile nor any other nationality or worldly division caused by sin… but only a NEW Creation In His Son. I thank God for sending you here to fellowship with us. May He bless you continually. Thank you, Lindsy. I will be checking it out. I have been scrolling around one of your other websites, A Wilderness Voice – In Search of a City, and am amazed at the thought and scholarship there. Not that I ever doubted you! Your faith is like a clear light, Michael. Still, the love, time, and effort you’ve lavished on exhorting and educating others over the years make your legacy truly impressive. May God bless you as richly as you’ve blessed the rest of us. Thank you! Wow, Anna! You are one of the few that have gone to our website from our blog and taken any time to read its content and come back and let me know about how it has blessed you. George and I have hundreds if not thousands of hours in our books and articles the Spirit has given us to write and we believe that they are there for all that He sends that way without us blowing our horns about it. We see ourselves as His scribe, not authors, so as much as we can we listen and He uses us to write. I am a new reader.I was looking for an explanation of Isaiah 54:1. I was blown the way you explained it. May God bless you. Dear Faith, I am glad that the Lord used us to help you with this verse. May our Father bless you with all spiritual blessings IN Christ. Hi Michael, I am enjoying your blog. If I might make an editorial suggestion.. The word “anointing” is spelled with one “n”, not two. Can’t help it, I am the daughter of an English professor. I fixed the spelling on the “Category” section. I hope that was all you found. Thank you, Steve. Yes, I do hope that I am a voice of God’s Grace to all. I have been through the mill in the last 45 years since I first totally surrendered my life to Christ for Him to give and take away from it as He chooses. I read your post on your blog about anxiety and could relate as well. For me my anxiety comes on me like a flood, all at once and usually it is triggered when I feel out of control and if I don’t DO the right things it will get worse. But, dear brother, herein is the problem. Our faith in God and being restored to it does not happen by our “doing,” but rather by resting and trusting IN Christ! Brother, when you give up law keeping as a way to please God and totally rest in what Christ has done for you and in His grace, most of your anxiety will vanish. Michael, thank you for this! Wonderful truth and a beautiful prayer. Thank you so much. You are welcome, my brother. Paul wrote, “It is for freedom that Christ has set us free. Stand firm, then, and do not let yourselves be burdened again by a yoke of slavery.” (Galatians 5:1 NIV). God bless you as you rest IN Christ. wow…oh..wow…Amen brother and thank you–so timely. I never get tired of reading this poem, Susanne, and feel it is one of your best. The more that time goes by and God works in our lives, the more it is evident that it was a prophesy. Thank you very much, Michael. Yes, back then, even while writing I felt it was prophetic since I had to write it (God really urged me). I knew it was at first about you and me… and later about countless brothers and sisters too. ALL these things we have experienced since then have been part of God’s eternal and unfathomable plan. Amen. Sitting in Daddy’s lap and leaning on His arms, together! Years ago I stood before the wood stove on a wintry night in Idaho, when I was asked by my friend’s mother if I thought that her son would ever come back to the faith. I knew the reasons he had left the church and appeared to be living a carnal, materialistic life, but I could not share them with her on his confidence. This was not something I expected to say. I didn’t even know what it meant at the time. Now I am no longer a Christian and Christ is installed in me. I can hear His voice, plain as day, at any time. Answers are at the ready. The answer is a person. The answer is Christ. Yes, ART, In Him we live and move and have our being. Christ is ALL in all that are His. Thanks for your comment. I have spent many a cold wintry night in Idaho before a wood stove, but now I am enjoying the beauty of God’s recreation on my forest walks in the spring. Thanks for dropping by. I came by way of Susanne Schuberth’s reblog of your article. I see we have some things in common. Nice work! 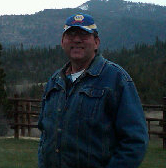 Thanks Michael for deep insight in the things of God.Have been a pastor for last ten years.am tired of institutionalized church.infact after reading ECCLESIATICAL CONSPIRACY [http://www.awildernessvoice.com/GEC.html] I am done with churchianity,i desire the simple ecclesia of CHRIST. Please lets be in touch in this new walk.I Am Fred Omondi from kenya.E.Africa. Yes, let us keep in touch, dear brother. I thank you for your visit and hope you found something to your liking! I also invite you back if you wish as I post new items every few days. All the best to you and may the Lord guide you as you seek Him in spirit and truth! Wow! The same power that Father worked in Christ, the Firstborn of many brethren, to raise Him from the dead and place Him at His right hand is available to bring we who believe into full sonship as He is in the Father. What shall we say if we neglect so great a salvation as this? Thank you, dear Susanne, for “In the Stillness of Our Being” as a “Featured Article” on your blog. You have written so many important things over the last 2 1/2 years on here, but the need for us to enter into our wildernesses rest and hear HIS whisper is the most important thing. Hebrews ch. 4 bears this out and to not do so is to live our lives in unbelief. True faith is a state of rest, even when He gives us a task to do. It is interesting to me how Moses would daily go into the Tent of Meeting to be with God and all the people would stand in the opening of their tents and watch him go by. Not one of them joined him, but they preferred their own tents of unbelief to meeting with God and thus they murmured and complained against God all those forty years. God often puts us into our wilderness times to bring us to an end of ourselves and our doings so that we can “be still and know that He is God” and know HIS wilderness whispered voice. To me, this post was a good reminder and confirmation as to God’s leading in my current life situations today as I realized while rereading it. That is indeed interesting what you said about the whole people only watching Moses meeting God. I presume they murmured and complained because they did NOT know HIM Who provided everything they needed in His perfect time. It is the same with our prayer breaks, I think. As for me, I truly need them in order to get my restless mind settled and to see (sometimes afterwards and sometimes even during my prayer times) how God answers my requests. He does not hear all of our prayers immediately, yet He always answers them, sooner or later. Without ever praying we might be inclined to believe that all things happen accidentally or that Satan might be the ruler of our lives if everything we expected turns out wrong in our view. You are very welcome, Michael! What an interesting blog. I can’t wait until I have more time to really check it out.